DIY projects are a great way to decorate your home. Not only can you make some handy items and decorations, but you can make your home look quite unique. Burlap is a very cheap material, widely available, which make it so handy to use for home decor. 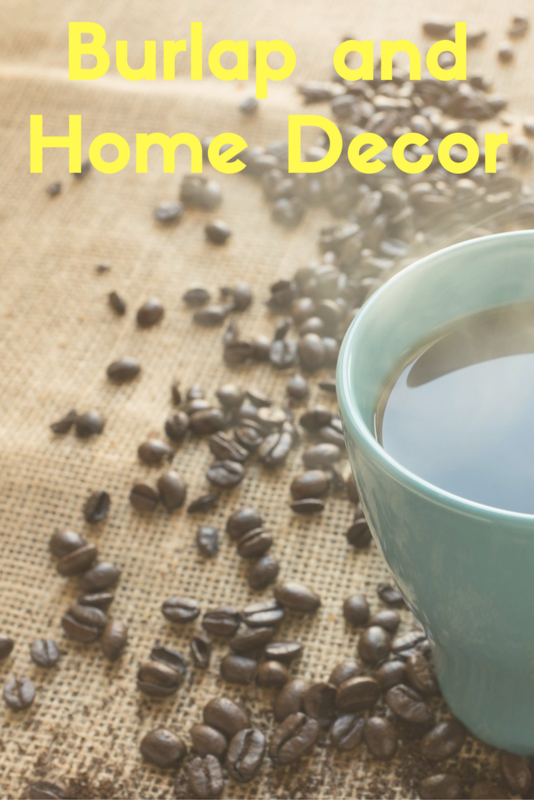 Here are a couple of ideas to use burlap to decorate your home. There are so many wonderful ideas to make a burlap pillow, so here’s one that includes an adorable felt flower. Although it looks a bit complex, in reality, it just needs a lot of work to arrange loads of petals. Start by making a burlap pillowcase as a base. Don’t add any other decorations, because the flower will be quite enough. Cut a circle shape out of felt. This will be a base for the flower. Then cut the petals. Draw one first, and then use it as a template for all the others to make sure they’re all the same. Arrange them around the circle base like in the picture. Use hot glue to attach them. Having a canvas in your home is such a great way to share your memories, family photos, cards, etc. In addition, it’s a super easy and cheap DIY project. You’ll need canvas and burlap to form a canvas base. Use a staple gun to attach burlap to the canvas. The canvas on its one looks quite simple, and you can live it like that. You’ll need pins to attach photos or cards. The second option is to use a couple ribbon strips to wrap around the canvas. Use small clothespins to hang the photos and cards. You could make a ribbon flower as an extra decoration for this memory board. This is a very easy way to decorate your home, and it’s especially useful when you organize family dinners. DIY burlap table runner surrounded by lace will make a table look festive and elegant. You’ll need burlap and lace. You’ll also need scissors and a thread, as well as sewing machine. In case you don’t have a sewing machine, and you prefer no-sew method, you could attach the lace with an adhesive tape. Besides a table runner, DIY utensil holders will also look amazing on a table. This method takes only about 10 minutes, and no sewing is required. You’ll need burlap, paint and stencil brush, ribbon and a tag. You’ll also need a glue gun. Cut a piece of burlap. A recommended size in this tutorial is 15 inches X 5 inches. Decorate the burlap with stencils. Then fold the bottom part of the burlap and glue the sides together. Glue a piece of ribbon or thread and attach the tag. Here’s a very easy decoration idea for candle holders. Simply wrap the burlap around the jar and glue it. Wrap a piece of ribbon around, add decorations such as acorns, bows, wooden shapes, etc. These will look great in your living room or on a nightstand in the bedroom. You can even attach seasonal decoration if you’re styling your home for a particular holiday. Everyone needs coasters! They’re very handy to have around your home, plus they can be a great DIY gift for a friend. To make these coasters you’ll need burlap canvas panels (4×4 inches square is recommended), metallic paint, and foam paintbrush. Tape and stencils are used to create different sort of patterns, as they both cover the parts of burlap you want to leave as is. If the color is not rich enough, you might want to paint the burlap once, leave it to dry and then repeat the process again. This way the color would be more intense and the pattern will be more noticeable. Upcycling old furniture is a perfect opportunity to use burlap. When your furniture demands a replacement, it’s time to think creatively and imagine how you can repair it instead of throwing it away. With a chair, it’s best to start with fixing the wooden part first, as this involves painting, which might ruin the burlap if you were to first fix the seat and the back of the chair. Once the repairment of the wood is complete, start with cutting and sewing the fabric. You also need a staple gun to attach the burlap to the wood. Weekly calendar is so handy to have in your home, especially in the kitchen when you can keep track of your meal plan. 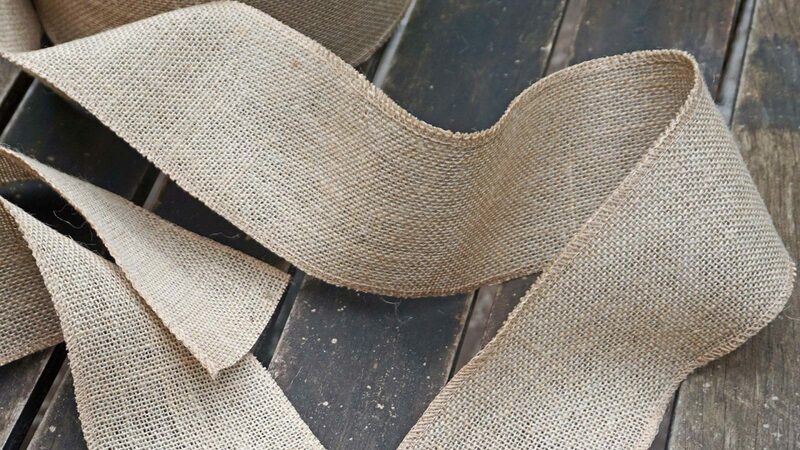 You’ll need a material that is easily cleaned, which is a perfect opportunity to use burlap. You’ll need a frame, and you’ll use burlap large enough to cover the entire surface within the frame. Draw a table with columns for each day of the week, and that’s it. Here’s another opportunity to improve something old and outdated, in this case, a lampshade. You’ll need burlap, either plain or decorated with the use of stencils. Start by cutting burlap into strips. It might be tricky, but pulling out one thread might help you keep the straight line. Use the hot glue gun to create and attach the ruffles to the lamp. The number and width of the raffles depend on the size of the lamp. I’d like to make this burlap canvas, I think it would look great in my hallway. I was planning to make one for our family photos, and one for my kids’ art projects. I always appreciate home/decor ideas and these are great, very practical and doable.